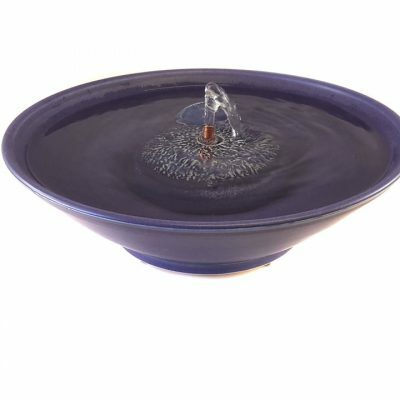 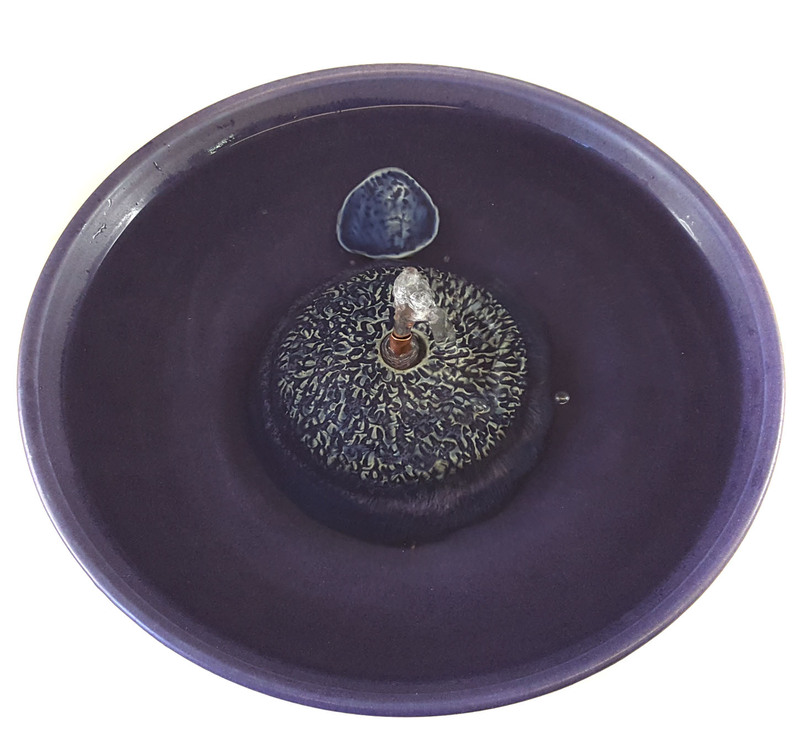 Cat water fountain glazed in Aubergine which accents the ‘Runes’ motif on the center piece. 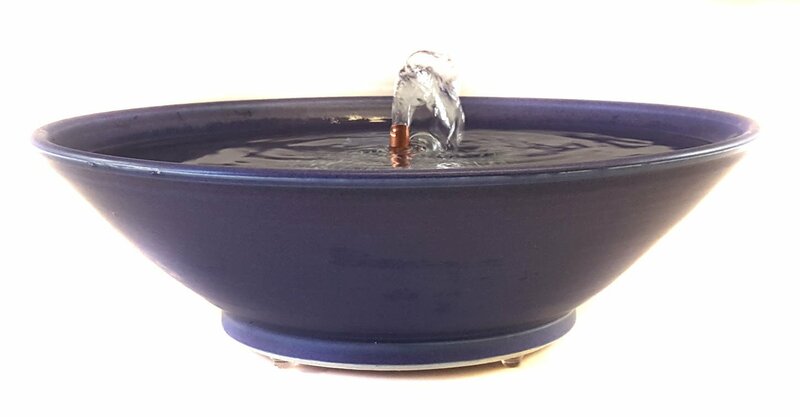 Everything is included but you can add any of our cat taps if you wish a stream as well and easily swap it in and out with the straight copper spout – cats love em. All our copper pieces are antimicrobial and beneficial for your cats.